Join us to find out how it affects your family and how we can fight back! Join WVRWF in Honoring the Troops and supporting AWCF (Air Warriors Courage Foundation ! AWCF provides emergency financial aid to active duty, guard, reserve and retired military personnel and their families needing financial assistance for medical, educational and other extraordinary expenses not covered by other military, veterans', or charitable institutions. Programs supported by AWCF include Ventura County Veterans, the Center for the Intrepid, San Antonio Military Medical Center (SAMMC), Walter Reed National Military Medical Center, and Fort Belvoir Medical Center. AWCF has a “FOUR STAR” rating from Charity Navigator and gives back 97% to the Warriors. Come and listen to how Illegal Immigration can damage our Child Welfare System! Location at the home of a member in Thousand Oaks, address will be given to all confirmed attendees in a separate email. Nationally known conservative blogger and political commentator! Bill Whittle will be speaking about his new program called "The Aurora Project" which is a computer generated science fiction game he has developed and targeted towards Millennials with the objective to advance conservative ideals and values into the future. Former Assembly member Travis Allen, currently a candidate for Chairman of the state GOP. RESERVATIONS are LIMITED so GET YOUR TICKETS EARLY! Let’s win back our state! Get out and vote! Click here for a list of candidates and propositions. Come and listen to Judge Steven Bailey! Judge Bailey is running for California Attorney General. Judge Steven Bailey (Ret.) is the only candidate with a background and expertise in criminal law. Judge Bailey has been endorsed by the California Republican Party, the NRA, Gun Owners of California, Crime Victims United, and even the Los Angeles Police Protective League which represents nearly 10,000 officers of the LAPD. Click here for more information on Judge Bailey. Price for dinner is $30.00 per person (+$2.00 for credit card or paypal). Bring your friends to join in the fun. WVRWF will be registering voters at the Ventura County Fair on Sunday August 5 from 11:00 am to 10:00 p.m. Please contact Dale Thomas at dale91377@aol.com if you are able to assist by taking shift during this very important event! 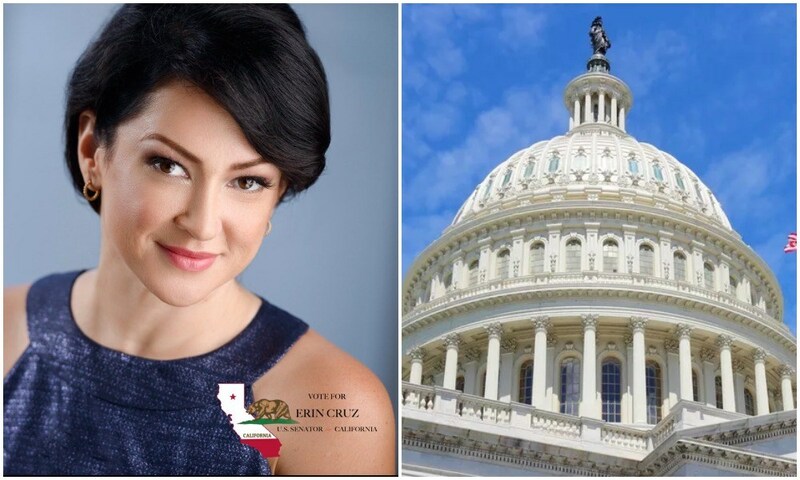 Erin Cruz has been a resident of California for nearly forty years and is the author of the political and business communication book, Revolution America and is Host of The Erin Cruz Show. With all that is going on around the world WVRWF believes that we should have some guided discussions on issues facing our nation, state, and city. To this end we will be having monthly coffee and round table discussions with members of the community sharing their concerns and addressing what we can do to influence and assist our government. Our next talk is going to feature Thousand Oaks City Councilmember Rob McCoy. Rob McCoy has led services at Calvary Chapel of Thousand Oaks in Newbury Park. As a member of the Thousand Oaks City Council, Rob is looking ahead to improve the City of TO in the areas of housing, traffic and the economy. With his Christian spirituality, Rob will discuss how we cam bring God back into our classrooms our government and our lives. Please join us for this special coffee. Members only with limited seating. Reserve now. We hope that you can join us for what promises to be stimulating and enlightening conversation with "Coffee and Conservatives". PLEASE NOTE- ACT NOW. SEATING IS LIMITED. ONLY THE FIRST 30 RESERVIONS CAN BE ACCEPTED. ADDRESS OF LOCATION WILL BE PROVIDED UPON RSVP. 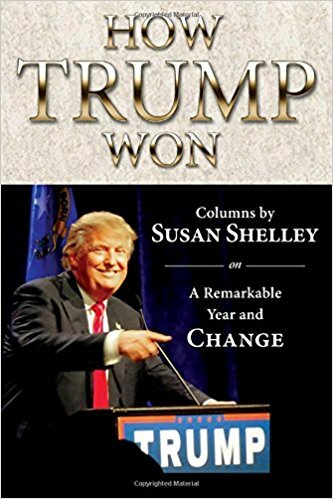 Published in the Southern California News Group, eleven daily papers including the Los Angeles Daily News and the Orange County Register and their digital editions, reaching a combined audience of more than 3 million people every week, Susan Shelleywrites on national, state and local issues with a rare common-sense perspective. Her columns are loved by readers for their blend of deep research, clear thinking and a touch of humor. She will be sharing her perspective on both CA and USA politics and doing a book signing of her new book, How Trump Won. We will be selling Republican Presidential Books for donation to the Title One Conejo Elementary School Library. Pick your favorite President for a book donation. With all that is going in our state and our county today WVRWF agrees that we should focus discussion on some of the issues regarding legislation. To this end we will be having monthly coffee and round table discussions beginning in July with members sharing their concerns and addressing what we can do to influence and assist our government. THANKS TO EVERYONE WHO ATTENDED OUR FIRST COFFEE AND CONSERVATIVES EVENT ON SB54!! !